The Drakensberg mountain range is not only dizzying but also stunningly panoramic. The infinite beauty of this region seems to go on and on, only punctuated by a series of supremely huge rocks that lie majestically under an unpolluted South African sky. Welcome to the Great Escarpment - one of the most sought-after hiking destinations on the planet. 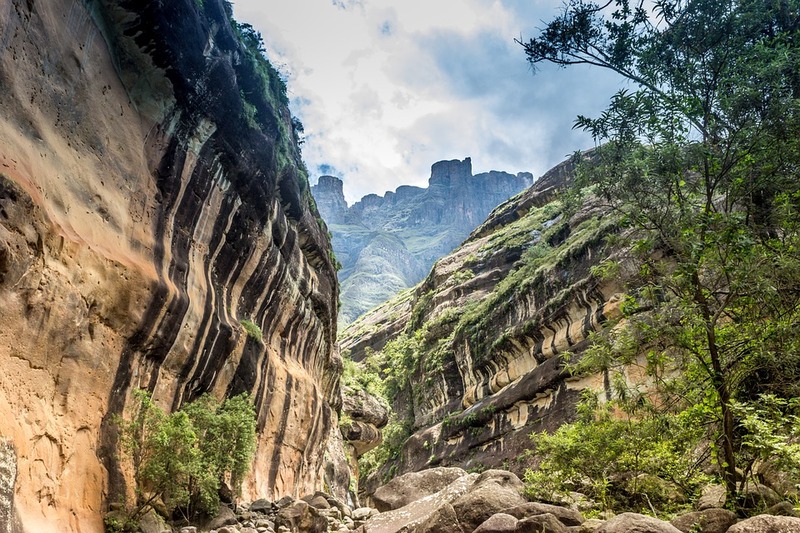 The Tugela trek captures the essence of the Royal Natal Park in just under 14 kilometres (or eight miles) of a medium-difficulty trail. If anything, the trek is the best way to tour this world-famous mountain range in a day or even half-a-day for seasoned hikers. Expect the first six kilometres to be relatively easy before the trail slowly contours over the roaring Tugela River. After this, the path descends leisurely into the gorge where a series of large boulders form convenient stepping stones as you meander into the crystalline pools. 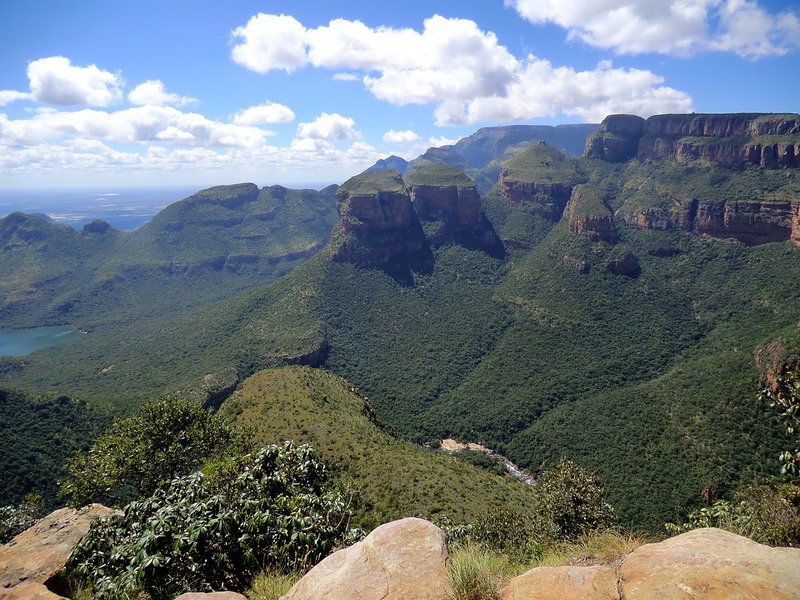 Even better, a top this natural amphitheater is one of the highest falls on this side of the continent - the Tugela Falls. Located in the zenith of the Royal Natal Park, the Ploughman's Kop trek is a relatively short and steeply ascending and descending affair. At just under seven kilometres (4.3 miles), enthusiastic hikers should not take more than four hours to complete it. One of the most interesting highlights of this trail is the magnificent Ploughman's rock pools that ushers you into the almost surreal beauty of the Mahai Campsite. If you decide to take this route, be prepared to cool down in the icy pools of water. Circling the foot of the Cathedral Peak, the Rainbow gorge is an effortless 11 kilometer (6.8 mile) trail. It is mostly flat and is thus recommended for families with small children who may wish to join you in the hike. The trek starts at Didima Camp before weaving its way uphill towards the Northern uKhahlamba-Drakensberg slope. Be rewarded for your efforts with spectacular views of the mighty Ndumeni River. As you descend slowly into the awaiting indigenous forest below, enjoy a multitude of rare species of birdlife that call this place home. With a variety of mountain trails available in this untouched area of land, your reward will be the crisp cold air and fragrant smell of blue gums and pine needles crunching underfoot. If you're fortunate enough, you will catch a mirage of sparkling rainbows as light and shadow play in the crystal clear rock pools scattered along your journey.